Bug Decal - Spyderco, Inc. 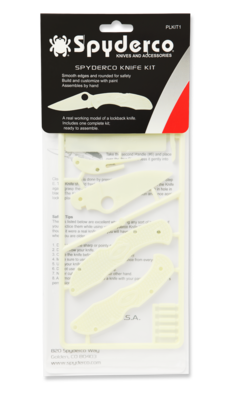 Page 187 – Spyderco, Inc.
Spyderco decals stick anywhere but are specially designed to adhere to the back of the side mirrors on your car. Vinyl decals are 3-1/4' X 3-1/4" sold individually or in sets of two and are weather resistant. Provide a clean and dry surface area where sticker will be placed. Position decal face toward the surface you're applying it to with backing still attached. Using a tool (a plastic spoon works great here) carefully apply even pressure, very lightly scrape the backside of the decal over the full adhesive area. Peel away backing. Decal can be removed from surface by heating it up with a hairdryer and peeling off.